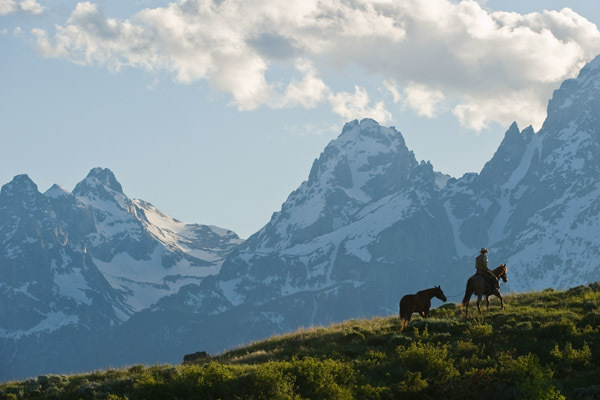 The breathtaking landscape of the Tetons is legendary for its rugged mountains, peaceful valleys, and remote areas. This cowboy and his pack horse have a solitary journey ahead of them as they cross this secluded range. With ever-changing weather, they may encounter rough conditions before they complete their journey.